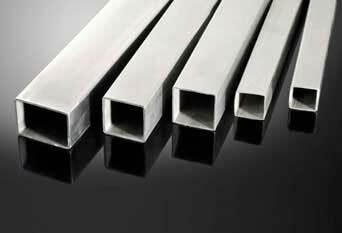 ISO Approved Manufacturer & Exporter of Stainless Steel Rectangular Tubing. ASTM A554 Steel Rectangular Tubes, 304 Stainless Steel Rectangular Tube, SS 304L Rectangular Tubing, Stainless Steel Seamless Rectangular Tubes Supplier in Mumbai, India. Piyush Steel is a known exporter and manufacturer of SS Rectangular Tubes, which are available in a wide range of dimensions and thicknesses. Our range of these ASME SA554 Stainless Steel Seamless Rectangular Tubes is available in different lengths and diameters, and is being made up of from high quality mechanical and structural grade materials. These SS Rectangular pipescan be supplied with black paint mill finish or with anti rust oil coating for surface protection of the pipes. We procure these materials from reliable experts that have been working with us since a long time. These pipes and tubes are available in different specifications as per the requirements of the clients. Rectangular Steel Tubing, SS 316 Rectangular Tubing, Stainless Steel Rectangular Tubing Dealer, 316L SS Rectangular Tubes, SS 317 Rectangular Tubing Exporter, 321 Stainless Rectangular Tubing. We can provide Stainless Steel Rectangular Tube, ASME SA554 Stainless Steel Rectangular Tubing, SS 347 Rectangular Tubes, 904L Stainless Steel Rectangular Tubes Manufacturer in India. We are also a reputed supplier of ASTM A554 Stainless Steel 304 Rectangular Pipes to fabrication projects that require exposure to corrosive elements such as chemical, acidic, fresh water, and salt water environments. 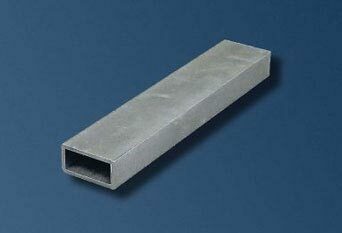 It is used where corrosion resistance and good mechanical properties are primary requirements. 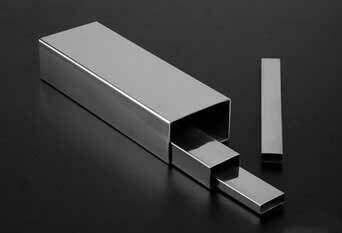 These pipes are widely appreciated for their compact designs and durability. All our range is acclaimed in the market for their durability and anti-corrosive property. We also specialize in offering our customers with custom thickness of SS 304L Rectangular Tubes for critical and special applications. It is used almost solely for parts requiring machining, welding, grinding, or polishing where good corrosion resistance is as well required. They are also extensively accepted in industries such as dairy, beverages and other food industries where the highest degree of sanitation and cleanliness is of prime importance. 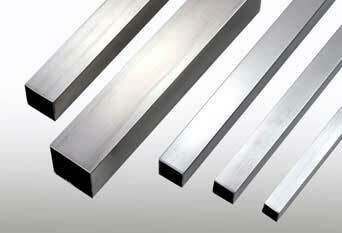 Austenitic stainless steel 316 rectangular tubes is as well used for various applications in different industries such as in Thermal & Nuclear Power Plants, Chemical Industries, Aerospace, Fertilizer Plant, Food & Dairy Plants, Oil & Gas Exploration, Petrochemical Industries, Paper Industries, Desalination Plant, Automobile Plants, Pharmaceutical Plant, Sugar Plants, and more. We Supply Stainless Steel 316L Rectangular Tubes of various origin’s and companies like Nippon Steel & Sumitomo Metal, Sandvik, Sanyo Special Steel, Kobe Steel, Schoeller Bleckmann, Salzgitter Mannesmann Stainless Tubes, Tubacex etc.